The weather was looking pretty miserable, and I was half-expecting a phone call cancelling the lesson. Sure enough, it was cancelled. It’s a very sad, miserable feeling. No doubt it’s something I will have to get very used to, as it was me who decided to start learning to fly as we approach our British Winter. Instead of a lesson in the air, I had my first ground school lesson. I was given an introduction to radio telephony, noise abatement procedures, and some of the legal and relevant documentation involved in flying. For radio, my instructor gave me a handy sheet with some examples of the radio communication required to get from the apron to take off. He emphasised how it’s just an example of how the dialog could go, and not to expect it to always go like that as it would be confusing for me if I heard something else. We talked about one of the most important rules of the radio: listen carefully. Just like in normal life, if we don’t pay attention whilst we’re listening, we often hear what we want to hear. The consequences of this whilst flying can be lethal. This is one of the reasons why important communication must be read-back, so that any misunderstanding can be identified. 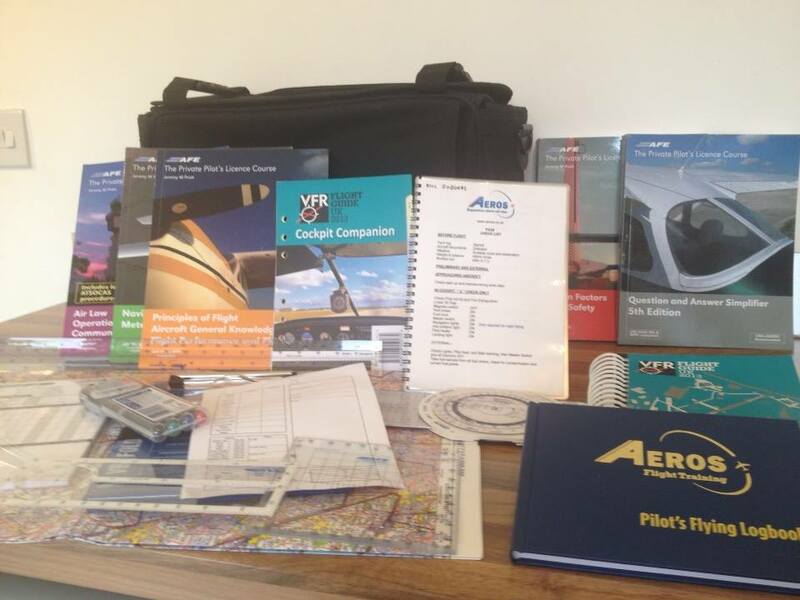 After my first trial lesson, my instructor suggested I read CAP 413, which is the Radio Telephony Manual from the CAA. A couple of months had passed, and I had read it a few times. A lot of it didn’t make much sense (I could understand the words but not the context) but as we talked through the basics today, a lot of what I had learnt in CAP 413 started to click in to place. He told me about this supplement to CAP 413 which is a PDF with built-in audio examples of different transmissions. It’s incredibly useful and I’d highly recommend listening to it to get some practice in understanding radio speak. Noise abatement procedures are an important part of responsible airmanship. Airfields have noise abatement procedures to help reduce the impact of the airfield on local residents, for example by avoiding certain areas so keep noise to a minimum. Gloucester airport has 4 runways (so you can take off in 8 directions). 4 of those directions have specific instructions on when and where you can go after take-off (here’s a diagram showing the noise abatement procedures at Gloucester, which we reviewed together. Documentation, on the face of it, can seem pretty boring. However, I actually found this part of the lesson to be really interesting and useful. I was shown where the key documentation is kept (each aircraft has its own file and box) and then we looked at the documents together to understand their significance. There are a number of legal documents (such as the certificate of registration and certificate of air worthiness) as well as more operational documents like the technical log (techlog for short). The techlog is updated by the pilot of each flight, listing the duration of the flight and noting any problems with the aircraft. Every day, before the first flight, a full A-check must be carried out, to confirm the aircraft is airworthy. The person who carries out the A-check must then sign-off the check in the techlog. Subsequent flights (on the same day) have a smaller set of checks. Unfortunately, the supplement hasn’t been updated since 2012/2013 and no longer contains the correct information. So it’s not published anywhere. I do still have a copy on my computer, but as it’s out of date, it’s probably best to ignore it. It’s a real shame, as it was a great tool. The link I gave is current Nic as its dated 2016? Yes Paul, the link you gave to CAP413 is current, but JB is after the CAP413 supplement that I mention in the blog post. I don’t think there’s a current/available version of that anymore.